Jeyrick Sigmaton, popularly known as Carrot Man, has been featured in Korean Broadcasting System (KBS) TV channel. Following his online fame in the Philippines, Carrot Man has now reached South Korea. 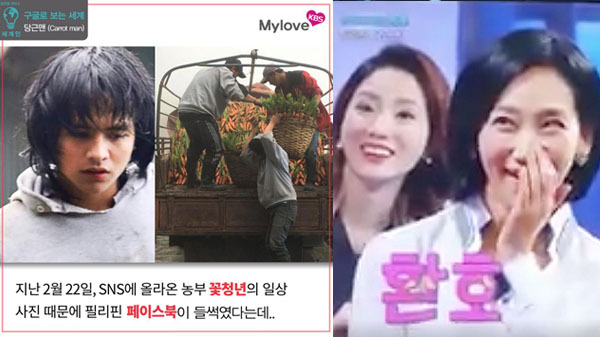 The 21-year-old overly-photogenic Igorot from Mountain Province was featured in a leading Korean TV channel, Korean Broadcasting System (KBS). Watch on the video below and pay attention to their reaction after seeing Carrot Man’s viral photos. Carrot Man become an overnight star after photos of him while farming carrots in Mountain Province went viral online. He has since invited for a guest appearance in local TV programs such as Jessica Soho, Unang Hirit and Wowowin. What can you say about this news? Share your thoughts and views on the discussion box below.